Habib Ammari is a Professor of Applied Mathematics at ETH Zürich. Before moving to ETH, he was a Director of Research at the Department of Mathematics and Applications at Ecole Normale Supérieure in Paris. He received a Bachelor's degree in 1992, a Master's degree in 1993, and a Ph.D. in applied mathematics in 1995, all from the Ecole Polytechnique, France. Following this, he received a Habilitation degree in Mathematics from the University of Pierre & Marie Curie in Paris three years later. Habib Ammari is a world leading expert in wave propagation phenomena in complex media, mathematical modelling in photonics and phononics, and mathematical biomedical imaging. He has published more than two hundred research papers, eight high profile research-oriented books and edited eight books on contemporary issues in applied mathematics. He has advised thirty four PhD students and twenty three postdoctoral researchers. Habib Ammari was awarded a European Research Council Advanced Grant in 2010 in recognition of the excellence of his achievements and his outstanding research program in mathematical imaging. He was named the 2013 winner of the Kuwait Prize in Basic Sciences and received this prestigious prize from His Highness the Emir of Kuwait. In 2015, he was the recipient of the Khwarizmi International Award in Basic Sciences, which is the highest honor accorded by His Excellency the President of the Islamic Republic of Iran for intellectual achievement. Habib Ammari has been a fellow of the Tunisian Academy of Sciences, Letters and Arts since 2015 and of the European Academy of Sciences since 2018. He is also listed as an ISI highly cited researcher. MSRI, UC Berkeley, IPAM, UCLA, Seoul National University, Korean Advanced Institute of Science and Technology, Yonsei University. Member of the European Academy of Sciences, 2018-. Highly Cited Researcher in Mathematics by Clarivate Analytics, 2016. Member of the Tunisian Academy of Sciences, Letters and Arts, 2015-. Khwarizmi International Award 2015 in Basic Sciences. 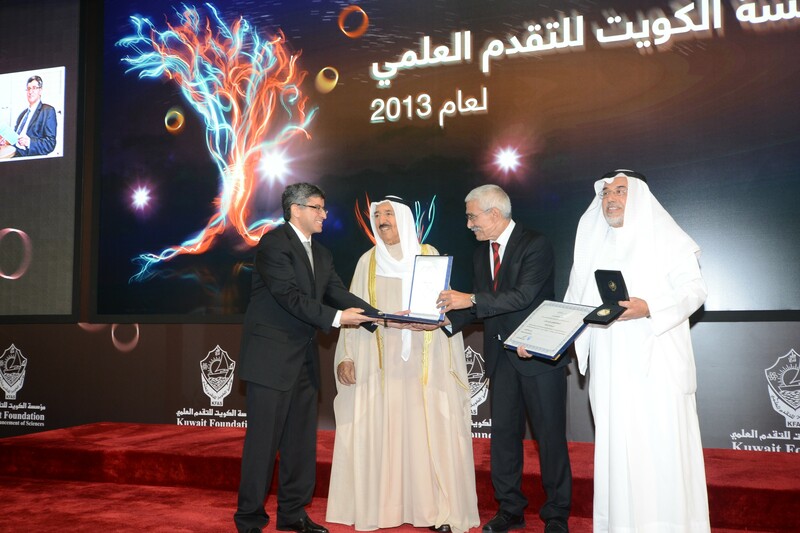 Kuwait Prize 2013 in Basic Sciences. European Research Council Advanced Investigator Grant 2010-2016. Publication Citations at MathSciNet (4128 Sum of Times Cited by 1232 Authors), GoogleScholar (10830 Sum of Times Cited; h-index: 52), and ISI Knowledge (4405 Sum of Times Cited; h-index: 35). 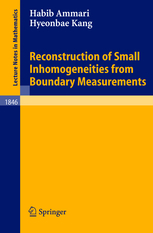 (with H. Kang) Reconstruction of Small Inhomogeneities from Boundary Measurements, Lecture Notes in Mathematics, Volume 1846, Springer-Verlag, Berlin 2004. Review. 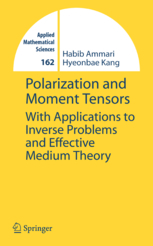 (with H. Kang) Polarization and Moment Tensors: with Applications to Inverse Problems and Effective Medium Theory. Applied Mathematical Sciences Series, Volume 162, Springer-Verlag, New York, 2007. Reviews. 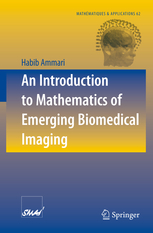 An Introduction to Mathematics of Emerging Biomedical Imaging. Mathématiques et Applications, Volume 62, Springer-Verlag, Berlin, 2008. Review. 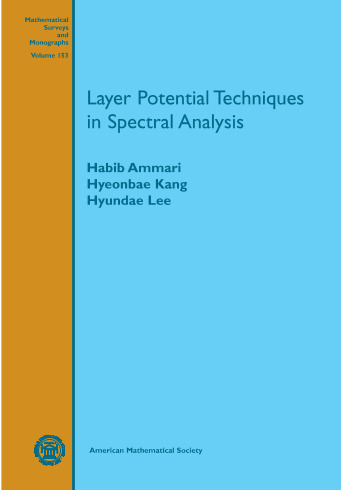 (with H. Kang and H. Lee) Layer Potential Techniques in Spectral Analysis. Mathematical Surveys and Monographs, Volume 153, American Mathematical Society, Providence, 2009. 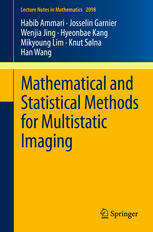 (with J. Garnier, W. Jing, H. Kang, M. Lim, K. Solna, and H. Wang) Mathematical and Statistical Methods for Multistatic Imaging. Lecture Notes in Mathematics, Volume 2098, Springer-Verlag, Cham, 2013. (with E. Bretin, J. Garnier, H. Kang, H. Lee, and A. Wahab) Mathematical Methods in Elasticity Imaging. Princeton Series in Applied Mathematics, Princeton University Press, New Jersey, 2015. 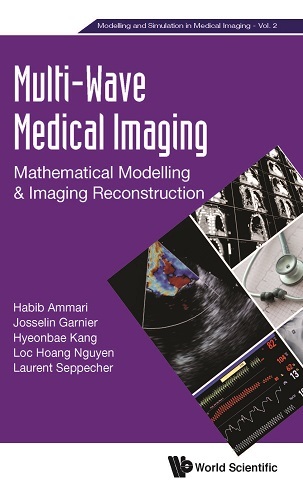 (with J. Garnier, H. Kang, L. Nguyen, and L. Seppecher) Multi-Wave Medical Imaging. Modelling and Simulation in Medical Imaging, Volume 2, World Scientific, London, 2017, 666 pages. 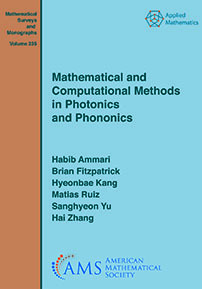 (with B. Fitzpatrick, H. Kang, M. Ruiz, S. Yu, and H. Zhang) Mathematical and Computational Methods in Photonics and Phononics. Mathematical Surveys and Monographs, Volume 235, American Mathematical Society, Providence, 2018, 509 pages. 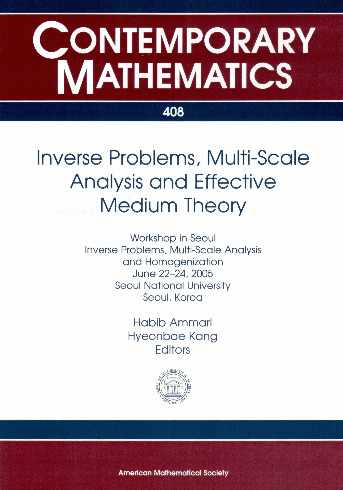 (with H. Kang) Inverse Problems, Multi-Scale Analysis, and Homogenization. Contemporary Mathematics, Volume 408, American Mathematical Society, Providence, 2006. 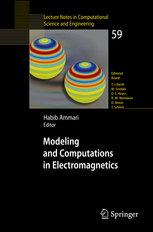 Modeling and Computations in Electromagnetics: A Volume Dedicated to Jean-Claude Nédélec. Lecture Notes in Computational Science and Engineering, Volume 59, Springer-Verlag, Berlin 2007. 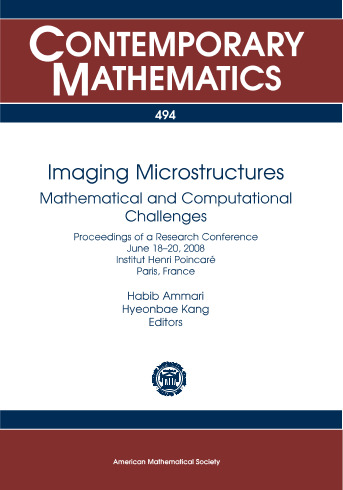 (with H. Kang) Imaging Microstructures: Mathematical and Computational Challenges. Contemporary Mathematics, Volume 494, American Mathematical Society, Providence, 2009. 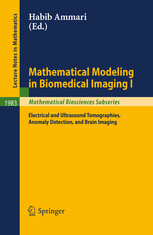 Mathematical Modeling in Biomedical Imaging I: Electrical and Ultrasound Tomographies, Anomaly Detection, and Brain Imaging. Lecture Notes in Mathematics: Mathematical Biosciences Subseries, Volume 1983, Springer-Verlag, Berlin, 2009. 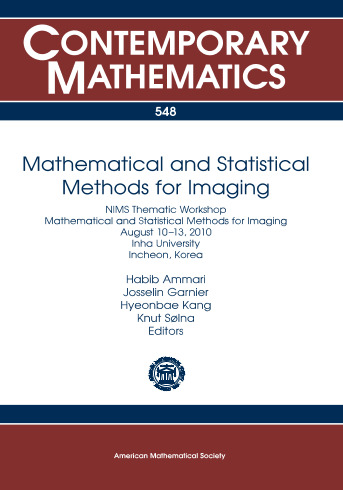 (with J. Garnier, H. Kang, and K. Solna) Mathematical and Statistical Methods for Imaging. Contemporary Mathematics, Volume 548, American Mathematical Society, Providence, 2011. 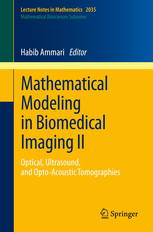 Mathematical Modeling in Biomedical Imaging II: Optical, Ultrasound, and Opto-Acoustic Tomographies. Lecture Notes in Mathematics: Mathematical Biosciences Subseries, Volume 2035, Springer-Verlag, Berlin, 2011. 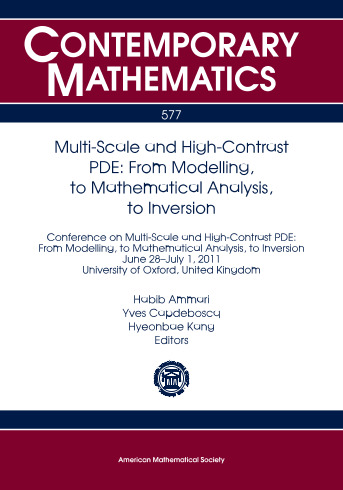 (with Y. Capdeboscq and H. Kang) Multi-scale and High-Contrast Partial Differential Equations. Contemporary Mathematics, Volume 577, American Mathematical Society, Providence, 2012. (with J. Garnier) Inverse Problems and Imaging. Panoramas et synthèses, Volume 44, Société Mathématique de France, 2015. 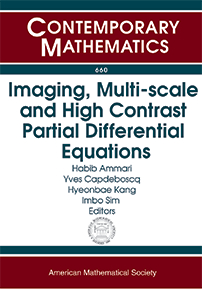 (with Y. Capdeboscq, H. Kang, and I. Sim) Imaging, Multi-Scale and High Contrast PDE. Contemporary Mathematics, Volume 660, American Mathematical Society, Providence, 2016. N. Vialle-Béreux (supervised with J.C. Nédélec), Resonances for Maxwell's Equations, PhD Thesis, Ecole Polytechnique, December 1998 (Reviewers: M. Costabel and P. Joly). C. Latiri (supervised with J.C. Nédélec), Approximate Boundary Conditions in Electromagnetics , PhD Thesis, Ecole Polytechnique, November 1999 (Reviewers: G. Bao and P. Monk). A. Khelifi, Electromagnetic Scattering From Small Dielectric Inhomogeneities, PhD Thesis, Ecole Polytechnique, February 2002 (Reviewers: O. Bruno and M. Yamamoto); HDR 2012. F. Triki, Asymptotics of Resonant Frequencies in Electromagnetics, PhD Thesis, Ecole Polytechnique, December 2002 (Reviewers: G. Bouchitté and F. Santosa). K. Touibi, Imaging Microstructures, PhD Thesis, Ecole Polytechnique, April 2004 (Reviewers: E. Beretta and H. Tuong). S. Soussi , Mathematical Modeling in Optics, PhD Thesis, Ecole Polytechnique, September 2004 (Reviewers: D. Dobson and E. Bonnetier). E. Iakovleva (supervised with D. Lesselier), Inverse Scattering from Small Inclusions, PhD Thesis, Ecole Polytechnique, November 2004 (Reviewers: J. Blum and M. Vogelius). H. Zribi, Layer Potential Techniques for Sensitivity Analysis, PhD Thesis, Ecole Polytechnique, December 2005 (Reviewers: G. Dassios and L. Greengard); HDR 2012. K. Louati, Mathematical Modeling for Corrosion Detection in Pipelines, PhD Thesis, Ecole Polytechnique, December 2006 (Reviewers: I. Ionescu and B. Maury). A. Dossevi (supervised with L. Garnero), Methods of Reconstruction of Functional Networks from Cortical Sources Dynamics in Electro- and Magneto-encephalography, PhD Thesis, Ecole Polytechnique, December 2007 (Reviewers: H. Benali and J. Garnier). A. Kozhemyak, Mathematical Models and Reconstruction Methods for Emerging Biomedical Imaging, PhD Thesis, Ecole Polytechnique, June 2008 (Reviewers: M. Asch and V. Komornik). W.K. Park (supervised with D. Lesselier), Inverse Scattering from Two-Dimensional Thin Inclusions and Cracks, PhD Thesis, Ecole Polytechnique, February 2009 (Reviewers: E. Beretta and O. Dorn). P. Garapon, Multiscale Elasticity Imaging, PhD Thesis, Ecole Polytechnique, June 2009 (Reviewers: L. Greengard and G. Uhlmann); Best Thesis Prize. S. Khan (supervised with S. Baillet), MEG Source Imaging and Dynamic Characterization, PhD Thesis, Ecole Polytechnique, January 2010 (Reviewers: A. Djaffari and J. Garnier). L. Guadarrama Bustos, Transient Wave Imaging, PhD Thesis, Ecole Polytechnique, June 2010 (Reviewers: Y. Capdeboscq and K. Solna). J.B. Bellet (supervised with G. Berginc), Mathematical and Numerical Methods for Skin Imaging with Polarized Light, PhD Thesis, Ecole Polytechnique, December 2010 (Reviewers: D. Auroux and D. Fedbacq). V. Jugnon, Modelling and Simulation in Photoacoustics, PhD Thesis, Ecole Polytechnique, December 2010 (Reviewers: M. Hanke, J. Schotland, and H. Zhao); Best Thesis Prize. A. Wahab, Modeling and Imaging of Attenuation in Biological Media, PhD Thesis, Ecole Polytechnique, November 2011 (Reviewers: M. Bergounioux and O. Scherzer). T. Boulier (supervised with J. Garnier), Electro-sensing for Weakly Electric Fish , PhD Thesis, Ecole Polytechnique, June 2013 (Reviewers: O. Bruno, J.K. Seo, and H. Zhao). L. Giovangigli (supervised with J. Garnier), Mathematical Modeling for Cell Membrane Imaging, PhD Thesis, University of Paris VII, June 2014 (Reviewers: D. Auroux and J. Schotland). L. Seppecher (supervised with J. Garnier), Mathematical Modeling of Biomedical Imaging by Mechanical Perturbations, PhD Thesis, University of Paris VI, June 2014 (Reviewers: O. Scherzer and J. Schotland). P. Millien (supervised with J. Garnier), Mathematical Modelling of Hybrid and Nanoparticle Imaging, PhD Thesis, Ecole Normale Supérieure, June 2015 (Reviewers: S. Arridge, M. Burger, and M. Lassas). T. Wintz, Super-Resolution in Wave Imaging, PhD Thesis, Ecole Normale Supérieure, June 2017 (Reviewers: M. Lim and C. Schonlieb). W. Zhang (supervised with Z. Chen), Forward and Inverse Problems Under Uncertaintly, PhD Thesis, Ecole Normale Supérieure, June 2017 (Reviewers: L. Borcea and J. Garnier). M. Ruiz, Mathematical Analysis of Plasmonic Resonances for Nanoparticles and Applications, PhD Thesis, Ecole Normale Supérieure, June 2017 (Reviewers: O. Bruno and G. Lebeau). B. Fitzpatrick, Mathematical Analysis of Minnaert Resonances for Acoustic Metamaterials, PhD Thesis, ETH Zürich, June 2018 (Reviewers: R. Craster and G. Lebeau). W. Wu, Mathematical and numerical frameworks for metamaterials and metasurfaces, PhD Thesis, ETH Zürich, July 2018 (Reviewers: P. Li and H. Liu). F. Romero, Mathematics of Medical Imaging with Dynamic Data, PhD Thesis, ETH Zürich, July 2018 (Reviewers: J. Garnier and K. Solna). A. Dabrowski, Perturbation of eigenvalues and scattering resonances with applications in imaging, ETH Zürich, December 2018 (Reviewer: N. Nigam). L. Baldassari, B. Davies, K. Imeri, E. Orvehed Hiltunen, A. Scapin. G. Alberti, E. Bretin, G. Ciraolo, Y. Deng, S. Gdoura, D. Gontier, J.P. Groby, W. Jing, K. Kalimeris, E. Kim, M. Lim, H. Lee, C. Poignard, L. Nguyen, A. Rozanova, M.P. Tran, H. Wang, A. Waters, T. Widlak, H. Zhang, G. Zheng. A. Vanel and S. Yu. Member of the European Research Council Starting Grant Panel (PE1), 2013--. Member of the editorial board of Journal de l'Ecole Polytechnique, SIAM Journal on Imaging Sciences, Mathematical Methods in the Applied Sciences, Inverse Problems and Imaging, Journal of Inverse and Ill-posed Problems, Journal of Computational Mathematics, Numerical Mathematics: Theory, Methods and Applications , Kuwait Journal of Science, Moroccan Journal of Pure and Applied Analysis , and Modelling and Simulation in Medical Imaging. Member of the scientific committee of the Mediterranean Institute for the Mathematical Sciences . Member of the Cancer Plan Panel of the French National Institute of Health and Medical Research, 2011--2014 and 2016. Member of the evaluation committee of the Institut de Mathématiques de Marseille, 2016. Member of the evaluation panel of INRIA, 2018. Co-organizer of Optical Imaging and Inverse Problems, IMA, Minneapolis, 2017, Novel Optical Materials, IMA, Minneapolis, 2017, OSA 2016 Mathematics in Imaging, ICM 2014 Satellite Conference on Imaging, Multi-Scale and High Contrast PDE, CIMPA School 2013 on Mathematical and Statistical Tools for Imaging, and Summer School 2012 on Mathematical and Statistical Methods for Imaging, Chinese Academy of Science. Member of the scientific committees of the Applied and Inverse Problems Conferences 2013, 2017, and 2019; member of the Calderon Prize Committee 2013. Member of the Peter Henrici Prize Committee 2019.